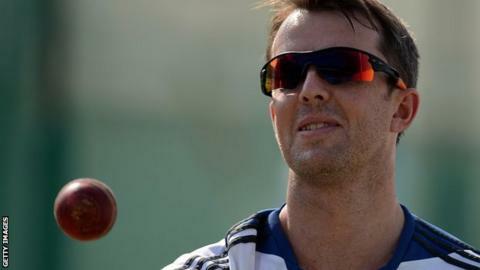 Graeme Swann wants England to seal a Test series win in India for the first time in 27 years so that their 'magnificent' victories are not wasted. "If they avoid defeat in Nagpur and win a series in India for the first time since 1985, it would be an incredible achievement and one that, for me, would rank even higher than ending 24 years of hurt by winning the Ashes down under in 2010-11." "I'm sure I'll look back with a great deal of pride on how we won the last two games," said Swann. "But I won't be looking back with as much pride if we don't finish the job off this week." "I think it's very difficult to quantify just how good the victories were," added Swann. "They've been magnificent wins away from home." England last won a Test series in India when they claimed a 2-1 victory under David Gower's captaincy in 1984/1985. Since then, captain Mahendra Singh Dhoni's side have won 10 out of 14 Test series in India. However, Dhoni has been criticised after his side's last two losses and has made three changes to the squad for the next game in Nagpur. Swann and fellow spinner Monty Panesar have spearheaded England's attack and will be hoping to pile more misery on India's faltering batsmen. "At different stages of the game you certainly know an opposition's under pressure," said Swann. Graeme Swann is currently the leading wicket-taker in Test cricket in 2012 with 56 wickets. He is one ahead of the Sri Lankan spinner Rangana Herath. "The other day [in the third Test] when we were taking those quick wickets in a mad hour, you can feel the pressure you're creating and you can see it on the faces of the Indian batsmen. "That's all about getting into the right position in the game where you know the other team's under the pump. "But when they walk out to bat here on the first morning they'll have a packed house here screaming every shot they play, just as they have had in the three Test matches so far. "There is a pressure from an expectant home crowd but it's not a bad pressure to be under."